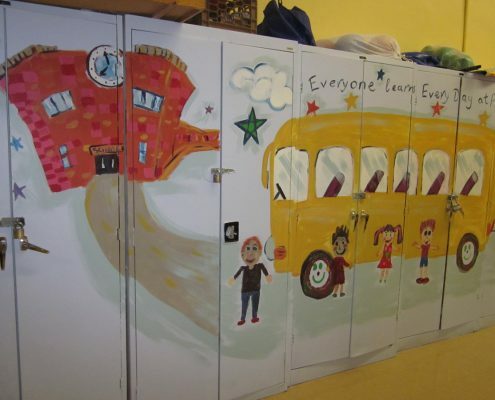 “Everyone learns every day” says P.S.5’s school slogan. This year learning was about more than the academics. 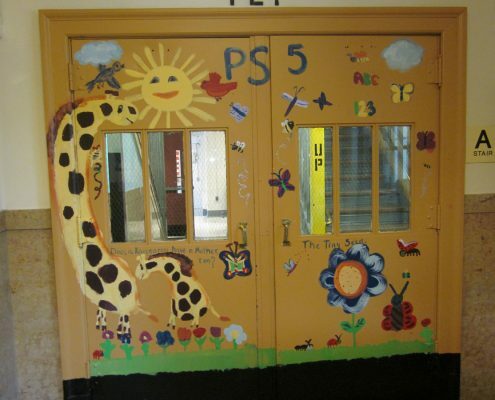 Under the creative guidance and supervision of artist Diana Sorkin of DIANA’S Murals and More, the fifth graders created wall murals to leave as a legacy for their beloved Huguenot school. The second floor classrooms are occupied by Kindergarten and first grade students. 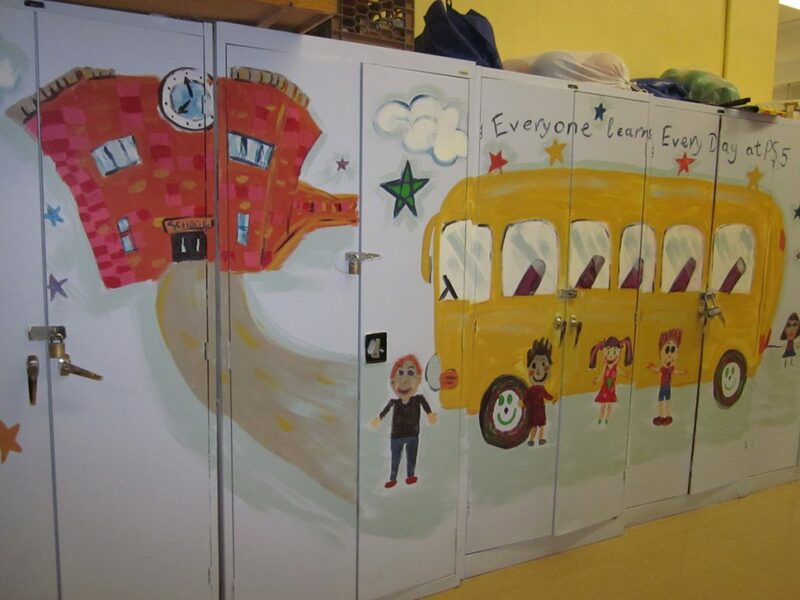 Grade level favorite books became the inspiration for the murals. The pictures were based on Eric Carle and Tomie de Paula’s popular children’s books, which are being studied by the Kindergarten and first grade throughout their curriculum. 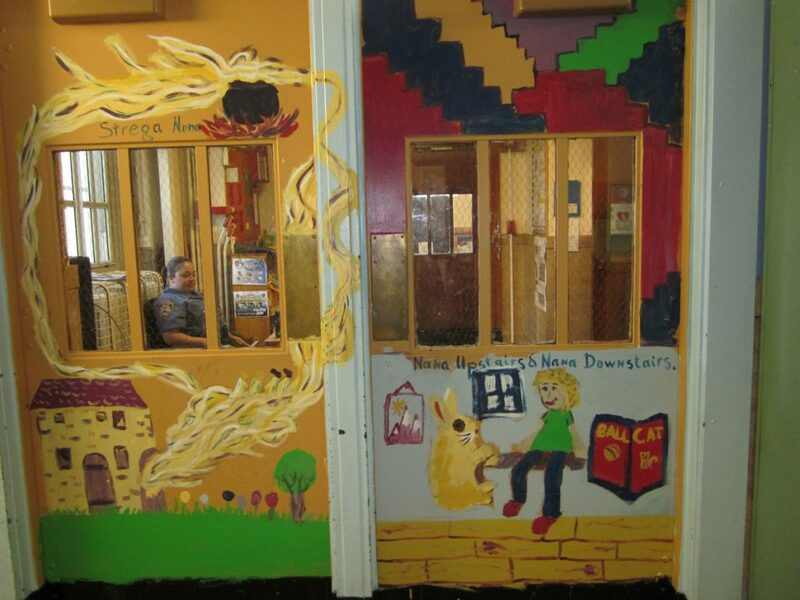 The kids were so inspired by the project they sang their school song as they painted. 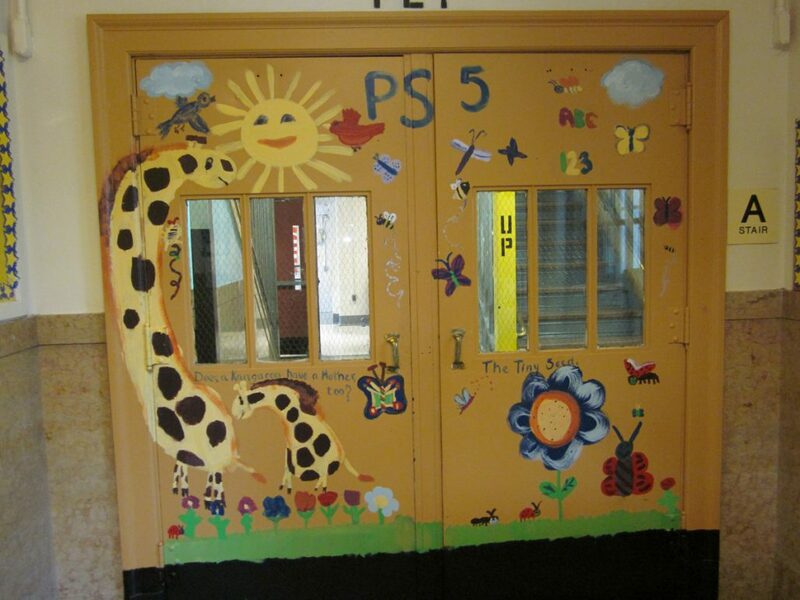 Other students and teachers alike burst with excitement every time they walk through the swinging doors that depict their beloved characters (The Hungry Caterpillar, The Grouchy Ladybug, The Lonely Firefly, Strega Nonna, and The Art Lesson). As the project moved along, the kids got to design the pictures and explore different painting techniques with permanent paint. 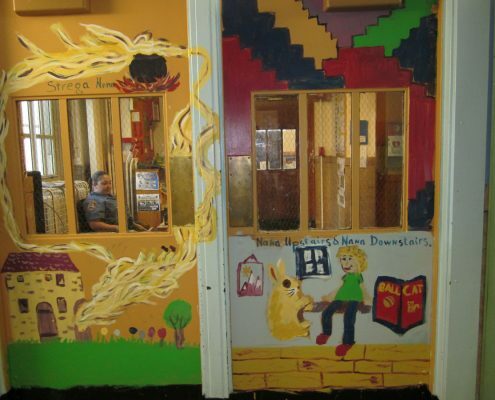 The children learned the basics of conceptual design, composition, drawing to scale and painting with various brushstrokes. Young artists were impressed how forgiving latex paint can be on the walls but not on their smocks. Most of the supplies were generously donated by the local Sherwin-Williams and Capital Paint stores. School staff and volunteer parents pitched in to make this collaboration a success. As with the previous COAHSI Wish Grant, ABC grant will make the Huguenot School an Artistic Landmark in the Staten Island community. The ABC Grant 2011 was made possible COAHSI, NYSCA.